Tags: Superior zomi Oil Choice 16 oz . 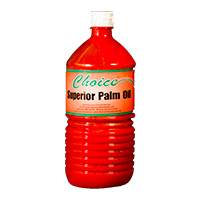 Superior zomi Oil Choice 16 oz is a 100% unrefined Red Palm Oil with no additives or preservatives. It is made from the Palm Fruit 16 oz. The best price to order this African food item is only here on Deeskus right now. Cdc Palm Oil Cameroun. 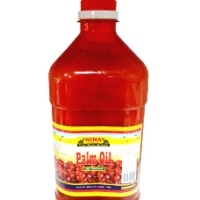 This product is one of the many African foods and other items you can buy he..
Palm Kernel Nina Oil. 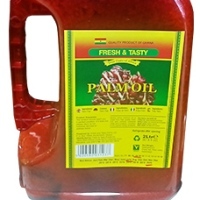 Wherever you are within the USA, we will ship this African food item to you o..
Palm Oil 2l Fresh & Tasty. 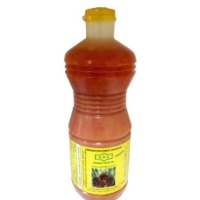 Wherever you are within the USA, we will ship this African food item..
Palm Oil Fresh & Tasty is an edible plant oil derived from the kernel of the oil palm Elaeis gui..
Red Palm Oil is 100% natural and produced without the use of chemicals or preservatives. 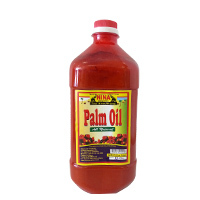 The oil is ..
Red Palm Oil Nina 32fl oz is 100% natural and produced without the use of chemicals or preservatives..
Red Palm Oil Nina 64.oz is 100% natural and produced without the use of chemicals or preservatives. ..
Superior Zomi Red Palm Oil by Choice Foods is a 100% unrefined Red Palm Oil with no additives or pre..
Superior zomi Oil Choice 320z is a 100% unrefined Red Palm Oil with no additives or preservatives. 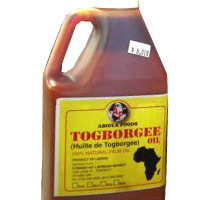 I..
Togbogy Oil by Choice Foods. 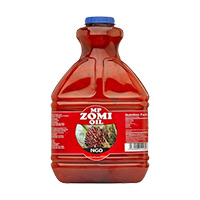 Feel free to buy this and other African food as well as Caribbean and ..
Zomi Spiced Palm Oil Nina 16oz is 100% natural and produced without the use of chemicals or pr..
Zomi Fresh &tasty. to order the African food online? 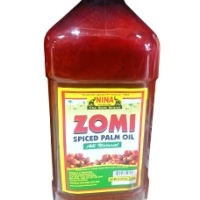 you have arrived at the perfect place to d..
Zomi Spiced Palm Oil 64.oz is 100% natural and produced without the use of chemicals or preservative..
Zomi Spiced Palm Oil Nina 32.oz is 100% natural and produced without the use of chemicals or preserv..